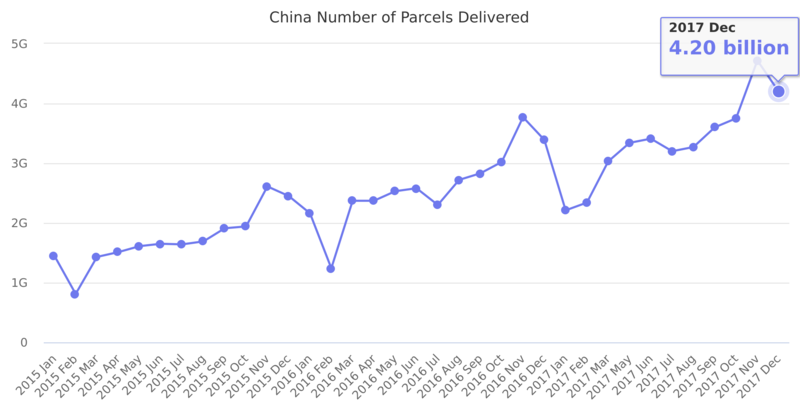 Number of packages delivered is a key indicator of China e-commerce growth. About 70% of those deliveries are of goods ordered online, as stated by State Post Bureau of China. The figure is provided by State Post Bureau (SPB), a government agency that manages shipping companies in China. From 20.70 billion in 2015 it increased by 51% to 31.28 billion in 2016. Source: State Post Bureau of China.